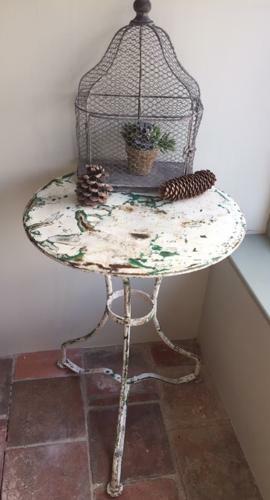 Very nice Antique Iron Cafe Table with original worn white paint with green coming through. Ideal lamp table. Loads of personality with the old worn paint. So nice that we had kept it for ourselves but did not use it in the end!